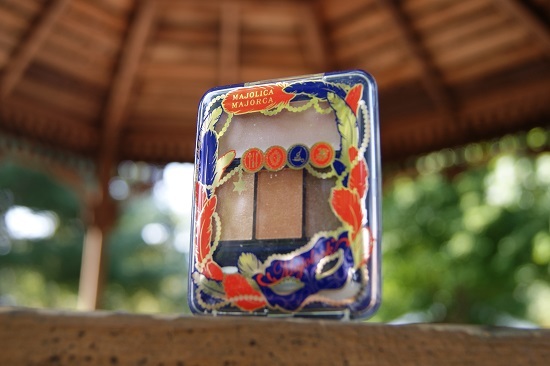 Well, you know my never ending love for Majolica Majorca(if you don't, I like getting every seasonal MJ palette). When the princess brand released its summer 2016 collection, I knew I had to get the orange brown one because burnt orange was all the rage (and I am a shameless trend follower). The two limited edition palettes were inspired by seaside carnival. If I remember it correctly, the warm one BE300 is named something along the line of "setting sun light reflecting off beach sand" (MJ removed their past collection and that made me really sad) while the cooler taupe one is the moonlight equivalent. The top of a palette is a slippy cream base that I never use. It doesn't really help the wear (in my case) and can get messy when the powder land on top. The left is a golden beige that serves as highlight, allover wash or glossy top coat. The main shade is a seemly metallic (bit it's not) burnt orange that looks satin on the skin. 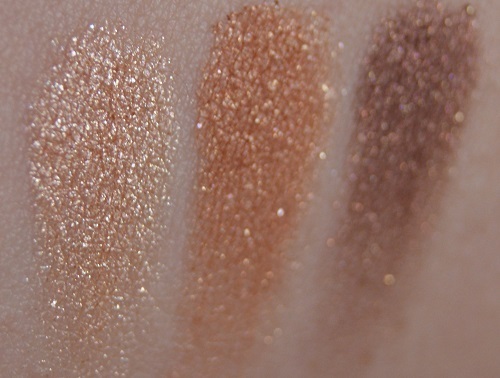 The glow is so subtle that it actually functions like a smooth matte with a bit of dimension. 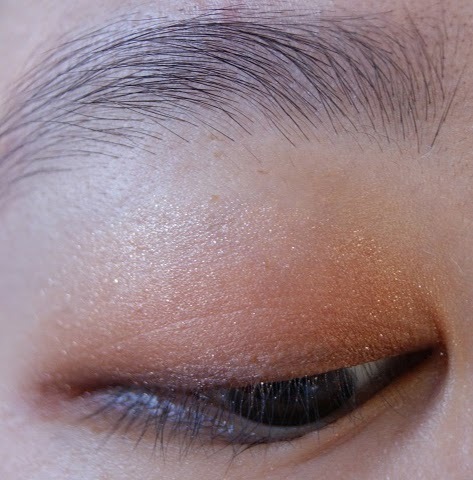 The liner is a warm orange based brown with small glimmer. 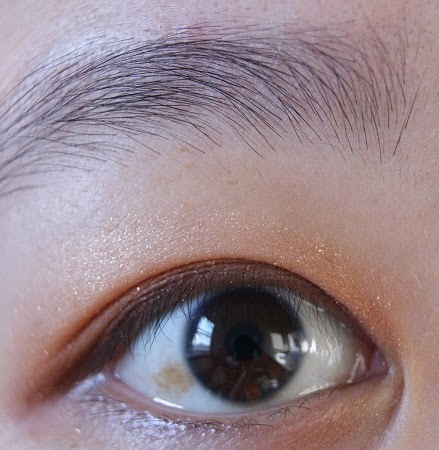 On the eyes, this also pull a little satin matte. 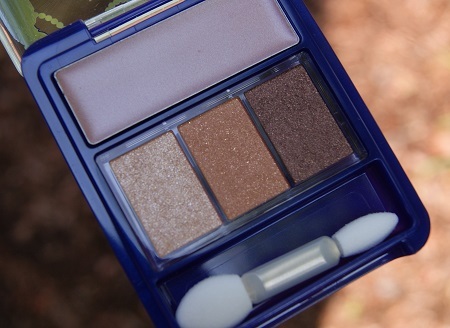 While all three shades look sparkly under sun, the overall look it's not as impactful but very much office-friendly. 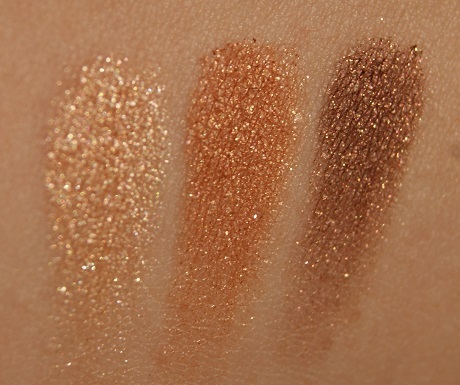 The texture of the shadow is also quite nice (as good as most 1500 yen palettes and imo comparable to higher end powder shadow sold in US). BE300 has a wearable colors and fairly good texture but overall burnt orange is so overdone that this is just one of the many. I will wear it again but it's nothing that special.